We promised some exciting new plans for this year, and we have been working hard. 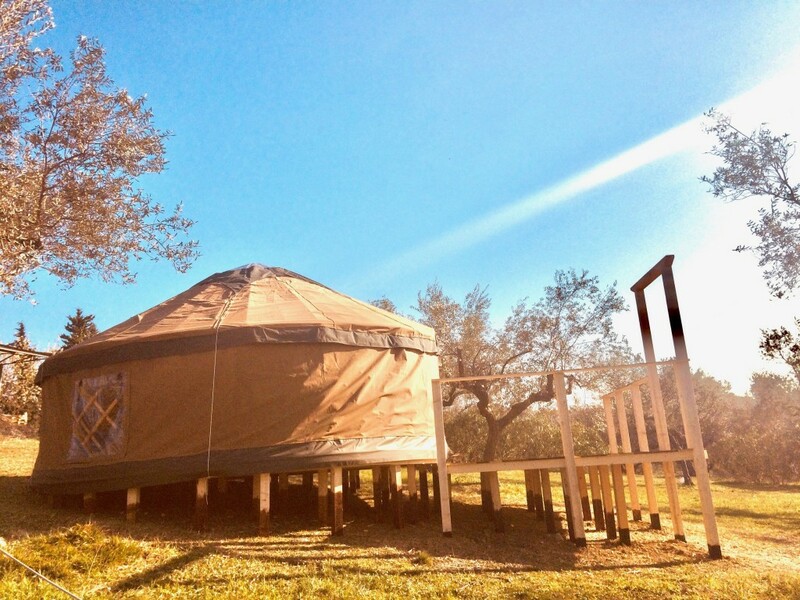 We spent a lovely sun-bathed day putting a new yurt up in Pianella, Abruzzo for a beautiful new campsite. This campsite is owned by one of our clients in the UK, so it was funny seeing two yurts going up at the same time in two different countries and symbolic in a way for where we are taking the Heartland rural development program, as a land bridge between the UK and the continent, sprouting new projects and sustainable rural development. We are attempting to steer Glamping into a new direction in earnest, and this is how the Heartland program was born. Being one of the main structure providers in the UK, has put us in a central position to influence our campsite clients and learn from them. This innovative program is running parallel now both in Italy and in the UK. We started working with landowners, Estates, and small holdings on creating a new type of campsite, with sustainable development at heart. Kerry Roy who has become a good friend is a really good example, and we believe in her! 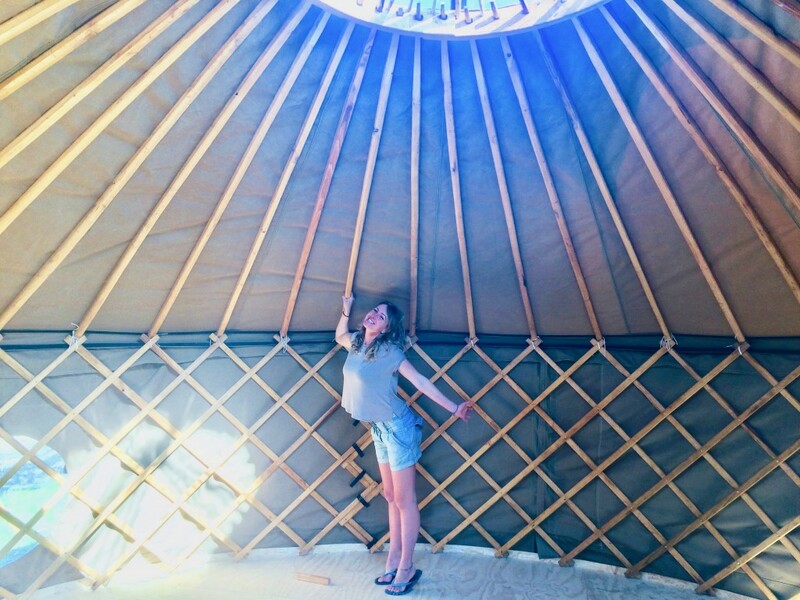 She is the rising star of Glamping, everything this woman touches turns into gold, so keep your eyes peeled for her new Italian retreat centre! She manages the successful Camp Katur in the UK too. 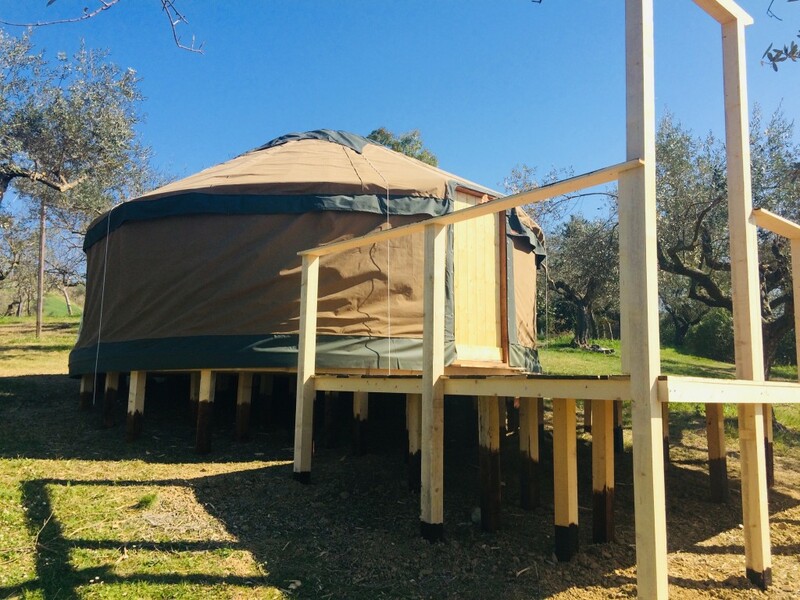 It was fun seeing yurts we made by Volunteers and in some of the transformational events we run, go up over the same week in two different countries. 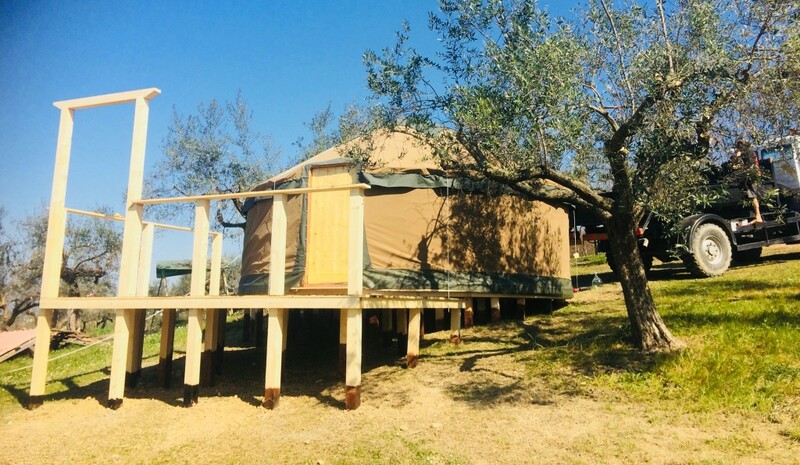 As Italy is a waking market where Glamping is concerned, it has given us time to reflect and design things from the ground up, and what has started as a project aimed to build our own campsite in the mountains of Abruzzo has turned into something much bigger. 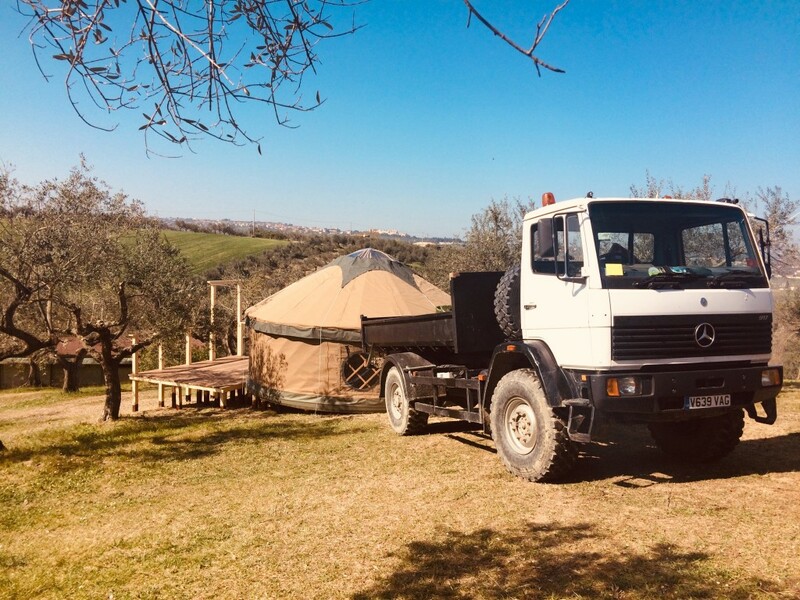 We now run a full service for people wanting to set up campsites in Italy and have a list of properties we hand-pick that are gorgeous and perfect for this type of venture. 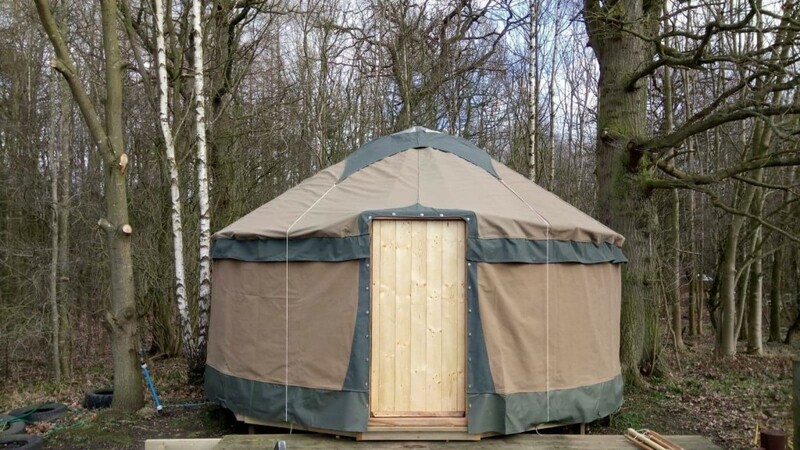 We have also chosen some of the most beautiful structure providers with saunas, tents and more, alongside some local log cabin builders etc and of course let us not forget our own unique tents. This is a program that takes new owners, especially people from the UK by the hand through all the rigmaroles of setting up a newly sustainable campsite in Italy. But the success of this program has also brought up some questions for us because we work mainly in the UK. We asked ourselves why don’t we do the same for rural areas in the UK, help land-owners and investors into a new program of rural development, help the large profile of campsites we work with move into a more sustainable route, and so the Heartland program is now coming to the UK too! Into a big and well-proven industry. So if you are a land-owner or someone wanting to set up a new site contact us for more details. 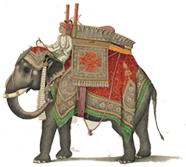 If you want to take your new site along a more sustainable route we have a plug-in model that has been proven, but its also a way we can really give back to rural areas, to help preserve history and tradition, bring personal development and transformational events in integration with small scale country living. 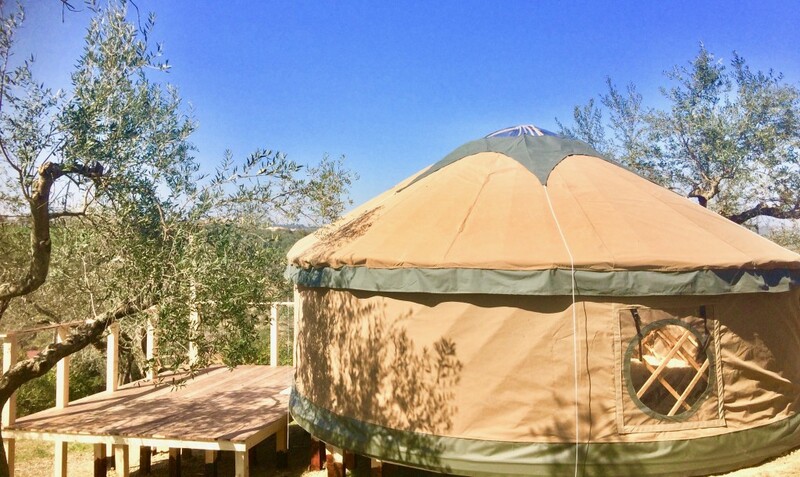 In the meantime here are some nice photos of our yurt going up in Italy.